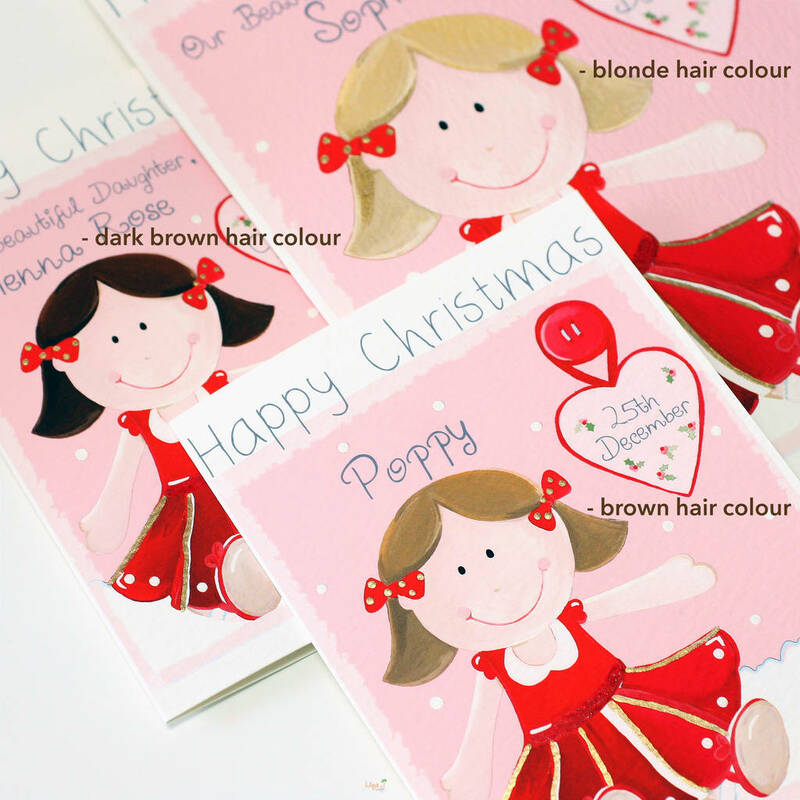 A rag doll girl Christmas card for girls personalised with your choice of childs name and hair colour. 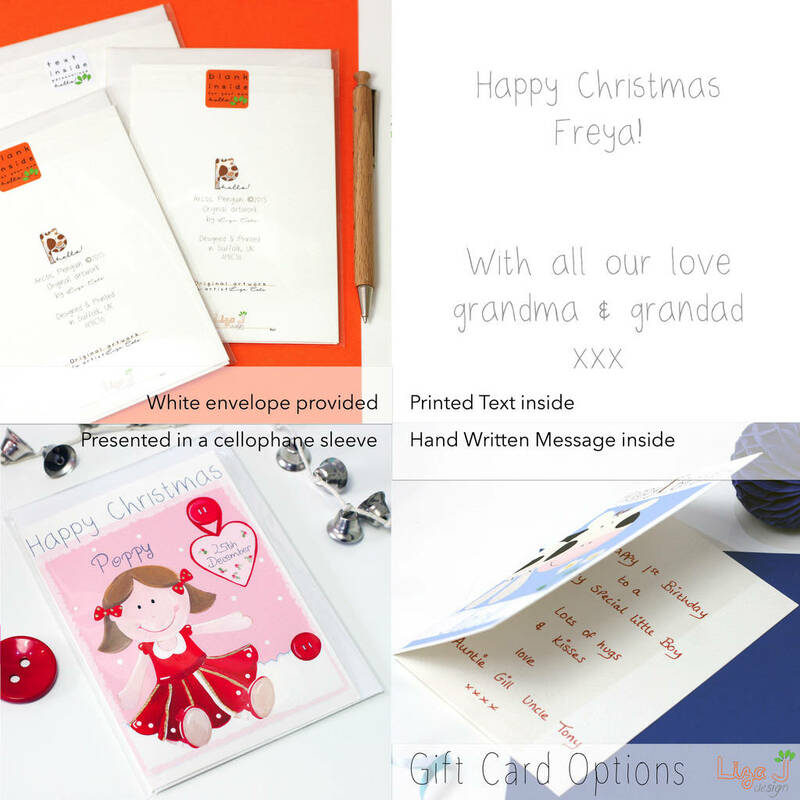 A Christmas card that would be special for any little girl at Christmas time as it is personalised with their very own name on the front. 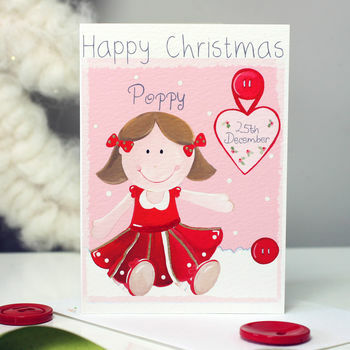 The title reads Happy Christmas with the date 25th December within the holly heart. 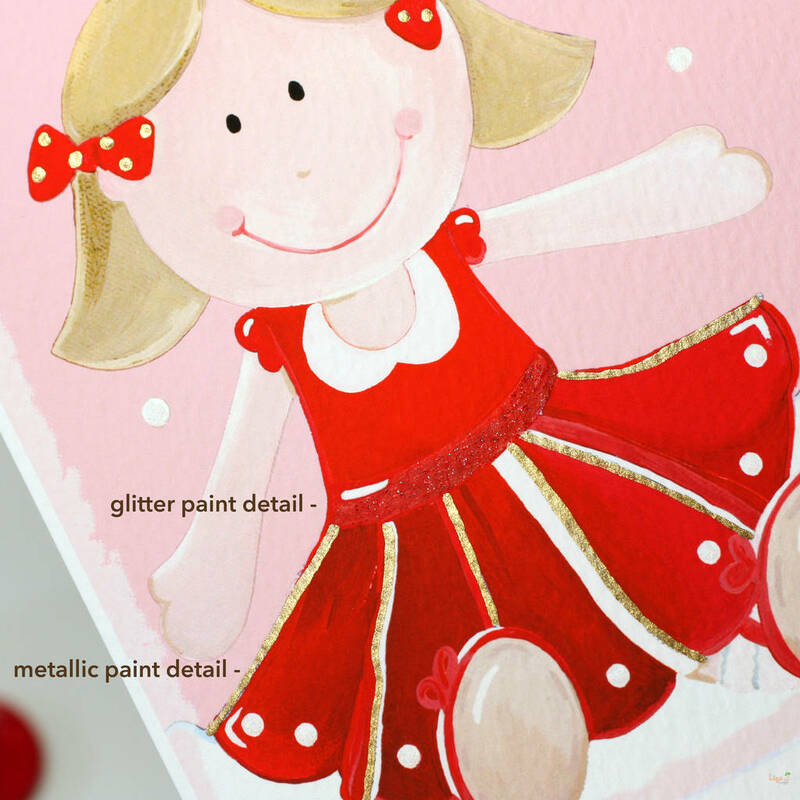 The front of the card is hand finished with a touch of glitter and gold metallic paint detail on the dress.